Challenged by Last-Minute Open Shifts? Your healthcare facility needs quality labor at the right time for delivering exceptional patient care. Filling last-minute open shifts to manage increased patient census, nurse vacancies, or last-minute sick calls is both challenging and expensive. Enhancing current staffing models with just-in-time capability transforms the cost structure of care delivery. Mobilize your nursing workforce. 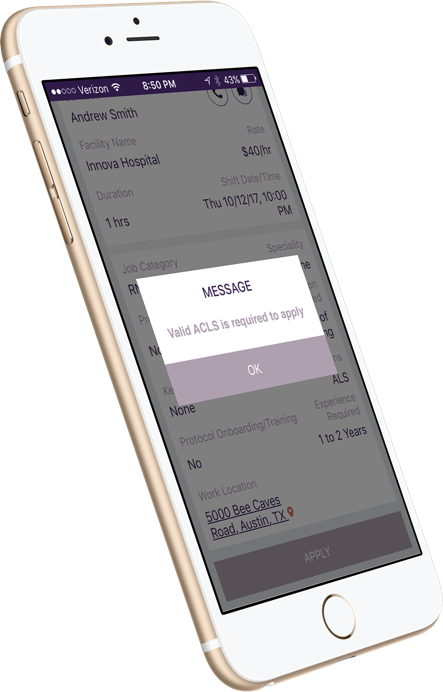 Through mobile app based recruitment and onboarding, automation of staffing workflows, and a user experience similar to a rideshare app, we make it easy for your internal resource pool and external Praos Marketplace nurses to find opportunities and meet your staffing needs — immediately and in a compliant manner. More Team. Less Work. Timely Care. 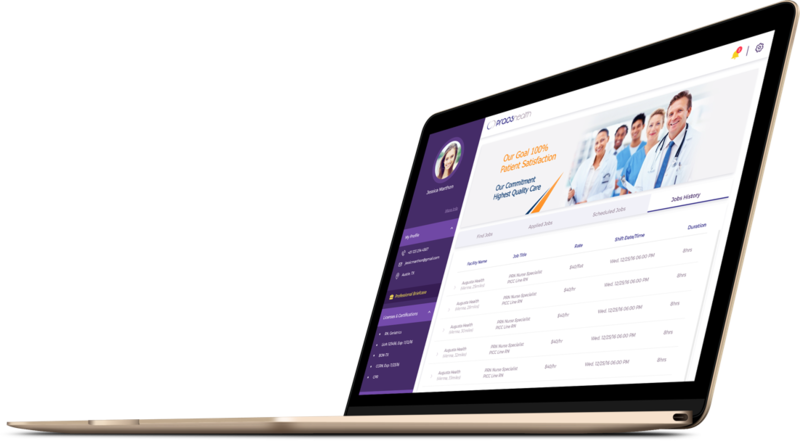 Maintain a 360 degree view into nurse credentials, compliance status, and documentation, through the nurse self-managed portal. Mobile access enables nurse screening and instant communication, helping you make timely decisions, even on the go. With access to the applicant’s Professional Briefcase®, you can select nurses quickly and easily when you need them most. Praos automates license verification and credential management. Multiple expiration reminders encourage staff to renew, which minimizes lapses and intervention by supervisors while protecting your facility. In addition to alerts, automatic primary source verification (PSV) of licenses is run on a daily basis. 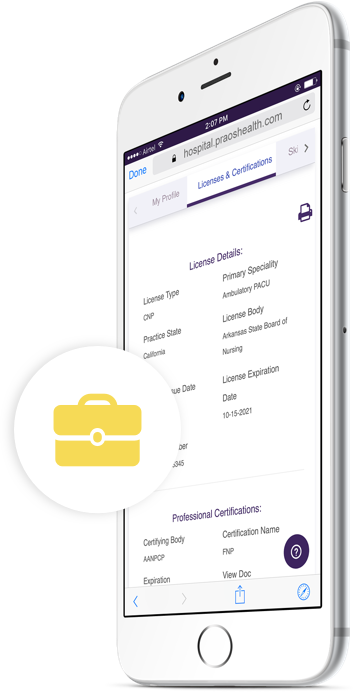 This process checks for license validity and any disciplinary actions, ensuring ineligible staff are automatically blocked from filling shifts and helping you stay compliant with local, state, and federal laws. Avoid staffing cost overhead by filling shifts from your choice of nurse pools. With direct rate-setting, transparency and better control of your finances have never been easier.